Gazette, Friday August 23, 1918. A woman workers surprise strike. With startling suddenness Uxbridge and the whole of West Middlesex found itself tramless on Saturday through a strike of women workers. The cause of the trouble was that whereas the award of the Committee on Production gave five shillings to the men it declined a similar concession to the women employees. Those employed on several services of the London United Tramway Company including the Shepherds Bush, Uxbridge line refused to start work on Saturday morning. No intimation of their intentions was given and many early morning workers found themselves unable to get to business. The inconvenience increased during the day. People in the Hayes and Hillingdon districts who desired to get to Uxbridge or Southall to do their Saturday shopping were faced with the alternative of walking or going without provisions. There was no question of buying locally for many of the villages are rationed for meat, butter etc at town shops and were therefore in an awkward position. The stoppage came as a thunder-bolt to many of the men conductors and drivers who had heard nothing about it as it had been more or less secretly organised by the women. One conductress thus explained the situation, "When we were taken on by the Company they promised to give us whatever rise the men had. We are doing just as much work as the men who realise the justice of our case and are supporting our strike." Male employees who are opposed to the women's claim base their opposition to the fact that many conductresses are the wives of soldiers and are receiving separation allowances, whereas the men have families to support. During the week the strike spread with startling rapidity. The bus employees in and around London joined with the tramway people and these were followed by tube girls. By Tuesday places affected included Bath, Brighton, Bristol, Folkestone, Hastings and Weston-Super-mare. Sir George Asquith, the chief industrial commissioner, had held a number of conferences with the parties engaged in the dispute with the hope of arranging a settlement, but it was not until Wednesday night that an arrangement was reached. of Licensed Vehicle Workers, National Union of Vehicle Workers, National Union of General Workers and Dock, Wharf and Riverside General Labourers Union. met with Sir George Asquith today and after lengthy conference decided to recommend to the Executive Committee the following terms. of March 8 and on the claim that equal total payments be made to women as to men for equal work in the tramway and omnibus, undertakings who were parties to the Award of March 8 and July 9 and that any present changes of payments are to date from the beginning of the first full pay day following July 9 and that any future changes of payments should take place jointly with those of the men. The Hearing will take place on Monday next at 2.30 and the Awards will be issued as speedily as possible." In the Uxbridge district great inconvenience has been caused by the stoppages. Many of those who in the past decried the trams have now realised their worth, tradesmen have found a considerable falling off in their takings and many people have passed the remark "Doesn't it seem strange without trams?" Men on government work in the district have suffered by the stoppages, but at one big works motor lorries have been conveying men to and from work, trains have been more than usually uncomfortably packed and bicycles have been more generally used this week than for a long time past. A large majority of women tram and bus conductresses joined unions by 1918. Many had been practically compelled by men members to join the union. The understanding was that they should be employed on exactly the same terms as men whilst their employment must terminate by the end of the war. In some cases women were employed on short shifts, but this policy was opposed by the Union. It was feared that any relief of this kind would not only give employers an excuse for deductions from wages, but add to men's hours of work. It might even have the undesirable effect of encouraging women's employment in the future. Women drivers who were entirely composed of commercial private employees formed a comparatively small section of members, probably less than 1/8th. which men received an aggregate advance of 20/- a week on pre-war rates, laid down that, "Where agreements or awards already exist providing the same rates to be paid to women as to men, such agreements or awards are to hold good and an increase to be paid accordingly." In the absence of such agreements, women were to receive only an advance of 4/- on the current rates. successful Outside London the women's claim had been prejudiced for the most part by the terms of previous awards by which they received not more than about two thirds of men's war advances. In London, however, their claim was undeniable and here they secured the full sum of 20/-, bringing up their earnings to 63/- a week. In the following July a fresh appeal was made to arbitration, and men were granted a further advance of 5/- a week. But this time the women were left out. The award met with an unexpected storm of indignation. London women bus conductresses were not accustomed to such treatment. They had, moreover, begun to taste power. A protest meeting was held at once and they announced their intention to take drastic action unless their claim received attention. It did not receive attention. It was apparently not even communicated by their Union to the Company. In August, therefore, the women struck work without further notice and the men came out after them. The public were surprised and not a little inconvenienced, but its sympathies were in the main on the side of the women. Even The Times admitted the strength of the women's case which lay precisely in this - That their work was as well done as any man could do it and that everyone could see that it was. The Committee of Production by which body the award had been given was obliged to yield to the storm and to re-consider its decision and the women won their case. Such was the victory of the women tram drivers that Mary McArthur, the Leader of the Women's Union declared the award to be the absolute vindication of the principle for which we are contending. The London United Tramways began operating a service between Southall and Uxbridge (along the Uxbridge Road) in May 1904. 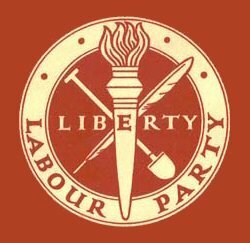 The Hayes Labour Party regularly called for a more regular and cheaper service from Hayes station (opended 1864) and the Hayes Communist Party in its 1945 manifesto called for the extension of the Underground line to Hayes.